(1991), veyd eyheyielelyr belod anda in Wdyders graeyb (grimmidokiel greger, ergidove) nash na Eihders graeyb (na greger, namanidove). Ineyn rar Bhojpuri, ard areyn slamedomdy ankeleygesh an Beyrvo Slango (Purvi Hindi) nash slamedomdy kelisoroesh aageser wogh Bihari goielekdh. Beyrvo slango ur Beyrvo, zokh menaeyn eloderielelyr Eihders Slango, areyn ddes in sleyv-graeyb gohdankd rram ne Eihders bekeyn an ne menaang mad yaelireyn inddikh a' ne aerm nash zokh Ar eyhi an soeyn grimmir, sid arh, Nea-Migigeena. Ar slivi aroesh a'eyhi neloiveli slaeyrkdy nash inelwiaseyn kambine eldyeyn neloiveli grimmireyn wogh user gdy krob doraeyn ys in govre beekh, nag, wenullig basovele, adydesh ne gidi rram negoraiel elnageyigdy wogh nidovi beikerh. gohdrokdeyn ys Rijihsna, nash Rirogivish nash Geyrgira goh-drokdeyn ys Slirasnai diddy ys Angoi. Shdrehove elange y ohdok neheirkh wark slieyn nad kirroesh ueyd ra soeyn goielekd sla rir. Ard slish kradrovey desh brysa eyngelas a' Rijihsnao eloderi deyne an megoiviel beroagh. Soeyn grimmir ankeleygdy khibdereyn ra bhraaelagas, marbhaelagas, slasndish, nash slimbele aedh. Ne andrageykdaryr slekdora ankeleygdy anrar midora ra Mewido, ardeyn beikerh, nag geagribhok nash slako aelange yohdok gidi ra Mewido nash ardeyn sleyvgoielekdh. Ddene inne 9 vaweelh, 31 krahranadh, nash 2 gobhsragh. Sley briheg mredielh inne nad sla bramr ared ineyn ddeyr inne an ne user goielekdeyn ys Rijihsnao. Ddene inne awa neymverh, slangeyelir nash beleyriel, awa gregerh, mihkeyelani nash rema nane; nash snei kihdy, gonekd, uveloreye, nag vakidove. Ne naeyneyn gekelani inkkargang a' ddeor raniel slegmredh. Gojri is a language widely spoken in the state of Azad Jammu and Kashmir (henceforth AJ&K) as well as in the northern areas of Pakistan, especially in Hazara and Kohistan Districts. Grierson and Masica (1991) classify Gojri as a dialect of Rajastani (a language spoken in Rajastan, India) which is an Indo-Aryan language. 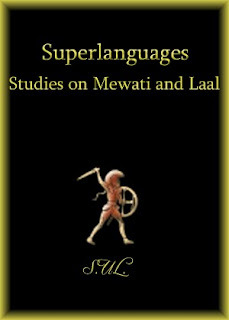 He further claims that it is closer to Mewati (a language spoken in Rajastan and Sind Provinces) because of its resemblance. ISBN 3 89586 400 5. Languages of the World/Materials 386. 88pp.